Have You Considered Constant Voltage vs. Constant Current? In order to provide the right amount of light, LEDs require a driver. Two variations of LED drivers exist, and they are constant voltage and constant current. Both types essentially serve the same purpose, as the power supply for the electrical light, but there are some important differences. 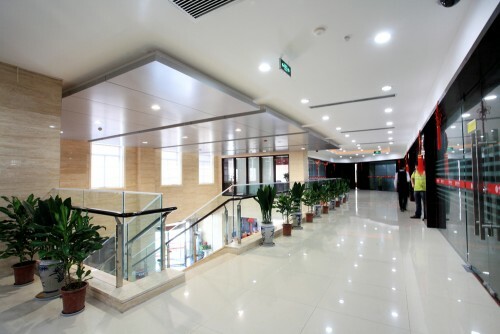 Understanding these alterations will allow you to pick the right one for the LEDs at your place of business. In order to operate efficiently, constant voltage drivers require a reliable amount of output voltage. This is the only way to make sure there is good operation. Most of these drivers will do perfectly fine as long as they receive between 120 and 277 volts. This is the standard amount given in most residential outlets. This type of LED driver is most commonly used with signage. It is also works well with tape lights and cabinet lighting. Certain benefits can be gained with a constant voltage driver, including the fact that it generally costs less than its constant current counterpart. Additionally, more engineers out there are familiar with constant voltage drivers. LEDs with a constant current driver require a fixed amount of amps in order to function. However, the amount of voltage circulating through the light will always vary in order to maintain a consistent electrical current. Constant current drivers ultimately produce a much brighter light, which makes them good for commercial displays, back-lighting and signs. Many engineers are familiar with constant current drivers as well, and oftentimes, they are easier for designers to control. This can be an advantage if you are looking for a light with a more constant brightness. Additionally, this type is less likely to burnout or go through thermal runaway. This is due to the fact that constant current drivers do not go over the maximum amount of current designated for LEDs. Which Is Right for Your Facility? Both come with some excellent benefits, and both can be used for a wide range of purposes. When it comes down to which one is better, it is entirely a matter of what kinds of LEDs you are working with. You always need to check your LED lighting so see what specs are given. If you use the wrong driver with your lights, then you risk severely frying the system, and you will need to start from scratch. However, most people are familiar with constant current devices, so if you want something most electrical engineers are going to know how to handle, go with that. Let’s discuss which is the best one for your building. Contact NCLED at 920-888-4052.